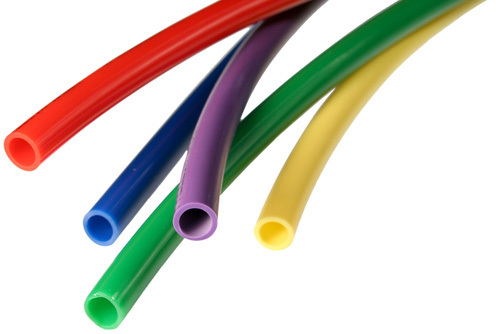 Nylon 11 tubing can withstand higher temperatures, making it an ideal choice for a wide variety of applications. When compared to other Nylon resins this tubing allows for a lighter weight wall, greater flexibility and smaller bend radius. It is also more corrosion resistant than other types of Nylon tubing because of its resistance moisture absorption. It’s heat and UV stabilization makes it resistant to stress-cracking, so it works well in sunny areas. It is chemical resistant which makes it a good choice in areas where exposure to certain chemicals is a possibility. Our Tubing Catalog and Price List are available on-line. Request a quote for the Nylon 11 tubing you need on-line today, or contact Polyconn for further information.